Next time you're shopping at Spencer's, keep and eye out for one of these. I lucked out, because it just happened to catch my eye on the way out of the store today. It even has a neat little pattern inside the cap, too. I think I remember someone wearing one of these in some of the Comic Con pictures, or maybe it was some DragonCon pics from this year. First time I've seen one in stores, though. That's cool! We don't have a Spencers here though. in the comic-con thread, the picture of the BSG guy, someone in the background is wearing that hat. We don't have Spencers in Japan either. That is a really cool hat. I like it better than the Ecko stuff. How does everyone else feel about his stuff? I just don't see what the fuss is about? I don't get the attraction, either, although the Hoodie was pretty cool. He put out one t-shirt that i really liked, but when I got it, I was kind of disappointed because what looked like white spots on the websites promo pic of the shirt were actually gold foil. Looks way too gay for me. Too much bling on it. Kind of tacky. Plus, the material on the t-shirts are really thin and run smaller that what the actual size says it is, so you have to get a size or two bigger just so it'll fit after it inevitably shrinks a little. I don't own any of the Ecko stuff, it's kinda cool, but not anything I would actually wear. I'm getting the Ecko hoodie for Christmas. I probably won't wear it often, everyone thinks I"m nuts as it is. I like it. It's very heavy, nice quality. The hoodie is the only cool piece in his collection. That's not a bad choice and I would probably wear it if someone gave it to me as a gift. 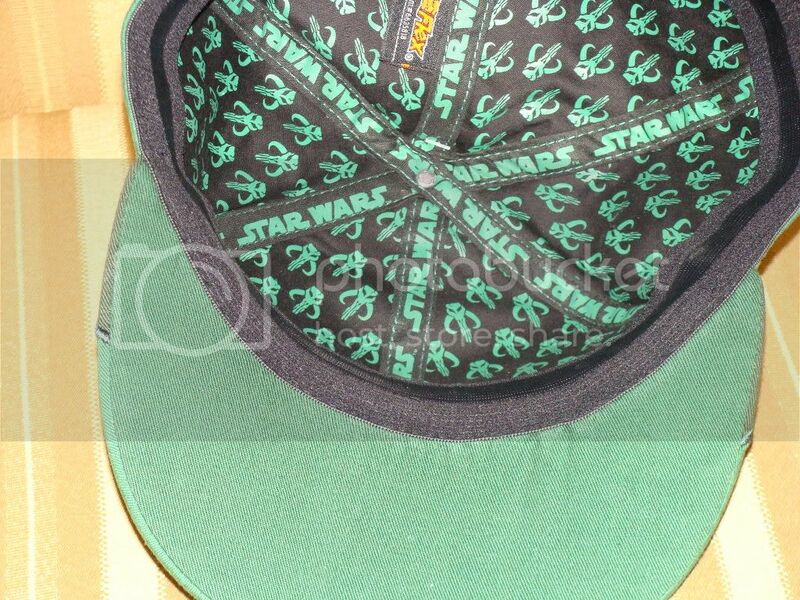 SW.com has an article about this hat, and there's a Jango one too. Very expensive though. No, that's not this hat. These ones, the ones you can get at Spencers, are about $20. I recieved one for christmas. I like it, but more as decor than a hat to wear around. I got the one from Spencers....I think it is pretty cool. They look alike to me, the only difference I see is price. Oh. Well at first glance they looked the same anyway. *shrug* I was wrong. 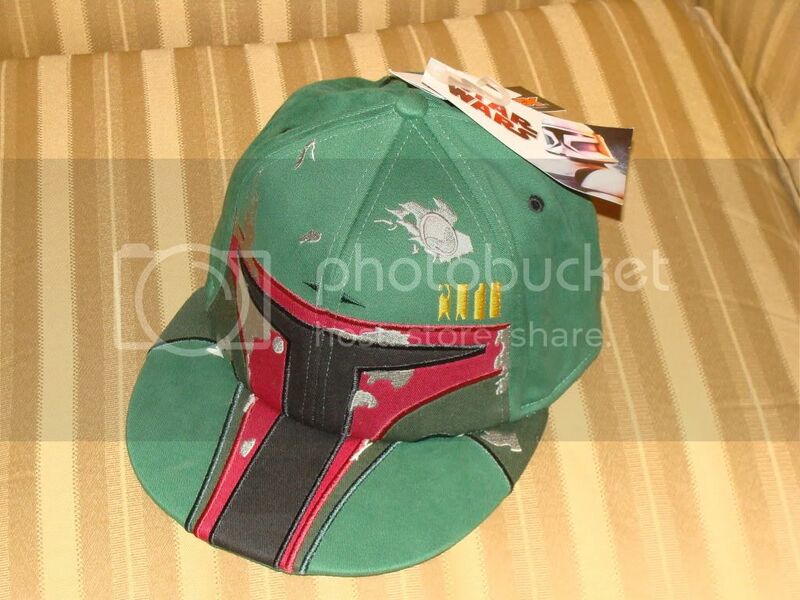 At this point in my life, I have never wanted anything more than this extreemly amazing hat to go with my nerdy Marc Ecko Boba fett Hoodie. I would finally give true meaning to the label "Nerd-Rapper". do a video of you singing Fett's Vette and you might just earn that title. Dang it. All this kool stuff is available but I am stuck in stinkin Afghanistan. What are the odds that someone out there is willing to buy me one of those hats for an IOU? nuna nuna nuna nuna fettman!